I love dips and this one hits all the elements. 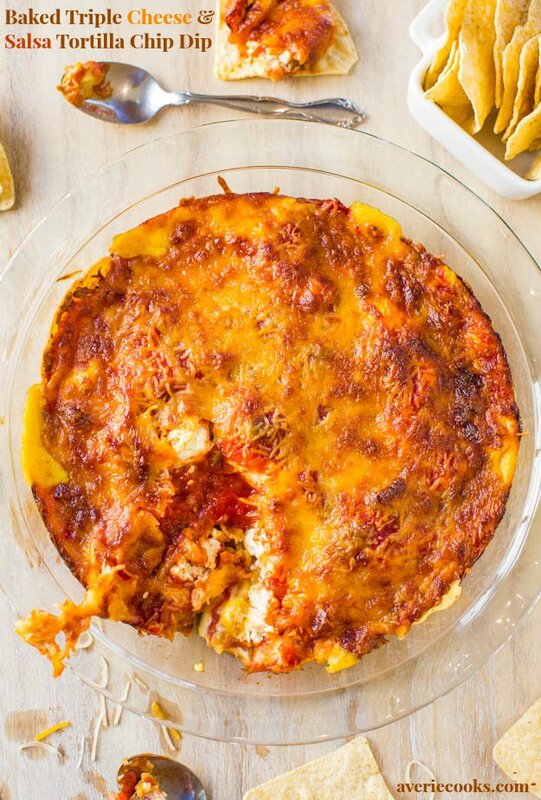 Fast, easy, no-bake, creamy, cheesy, and loaded with ranch flavor. It’s the type of dip you just want to babysit with a fistful of chips so you can keep on dipping. One after the next. And after your chips run low, you can move on to nibbling the bread bowl. Don’t waste perfectly good carbs. 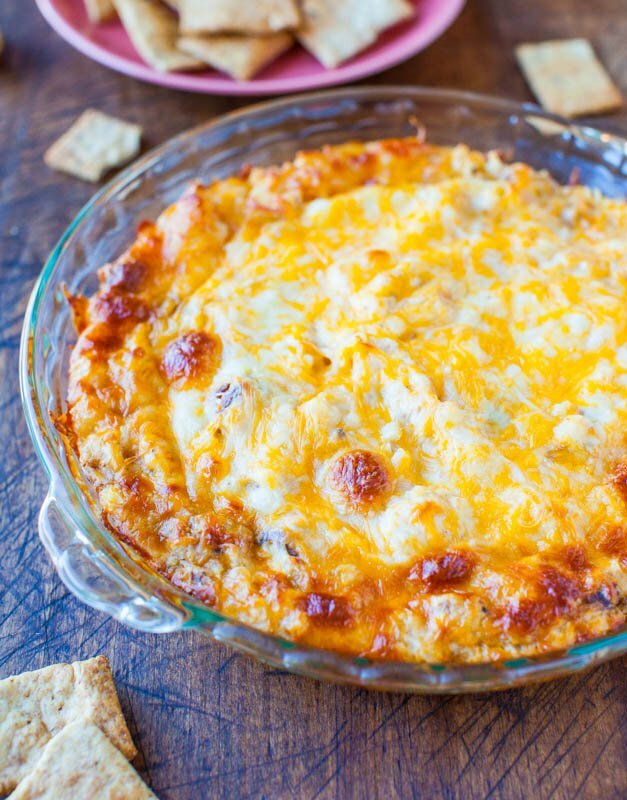 To make the dip, simply stir together cream cheese, sour cream, shredded cheese, and a packet of ranch dip seasoning mix. 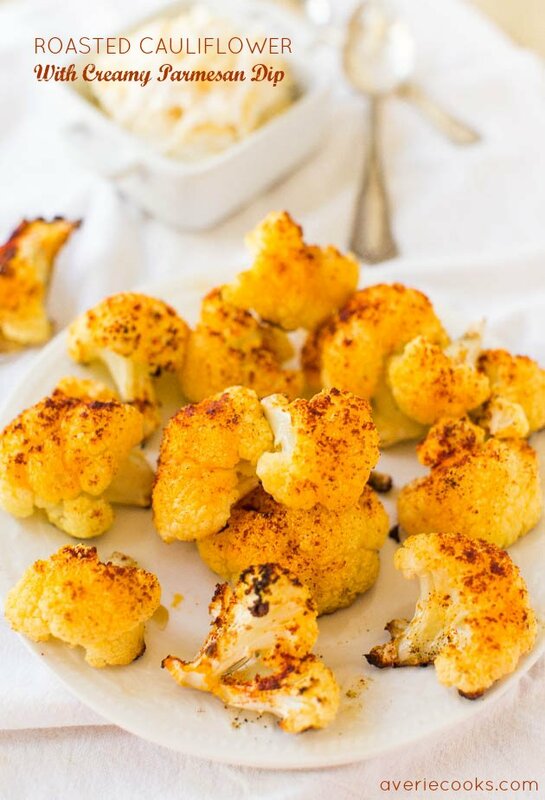 I used McCormick, but you can use a storebrand or stir together onion powder, garlic powder, salt and pepper, to taste. But for about a dollar, I went with the mindless ease of a packet. 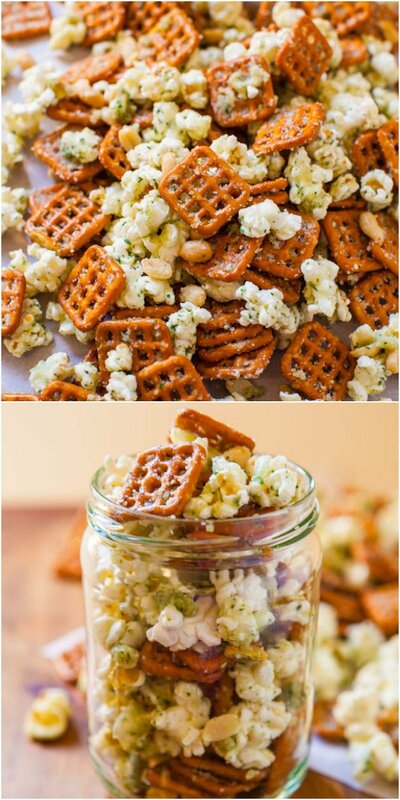 You can use lite or lower fat versions of both the cream cheese and sour cream, or traditional versions. I used a blend of white cheddar, Pepper Jack, and mozzarella cheese. Use what you have and enjoy. 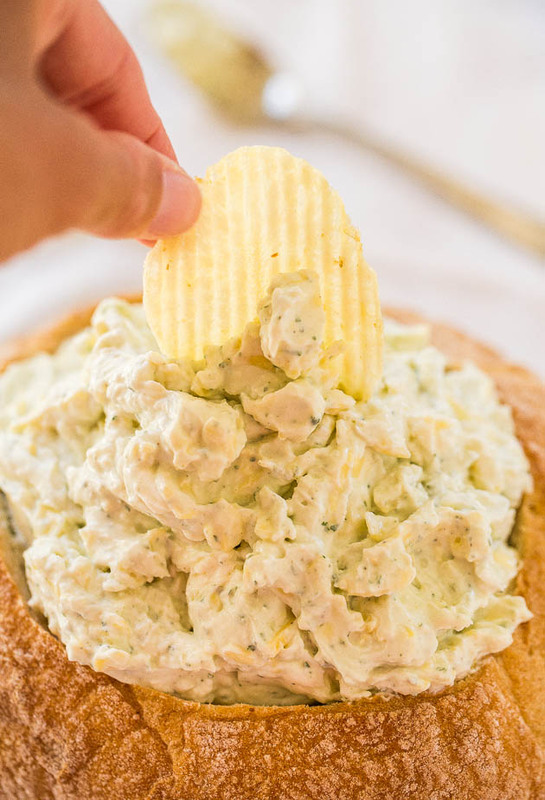 Even though it takes just minutes to stir the ingredients together, you can make the dip a few days in advance and keep it airtight in the fridge until you’re ready to transfer it into the bread bowl for serving. 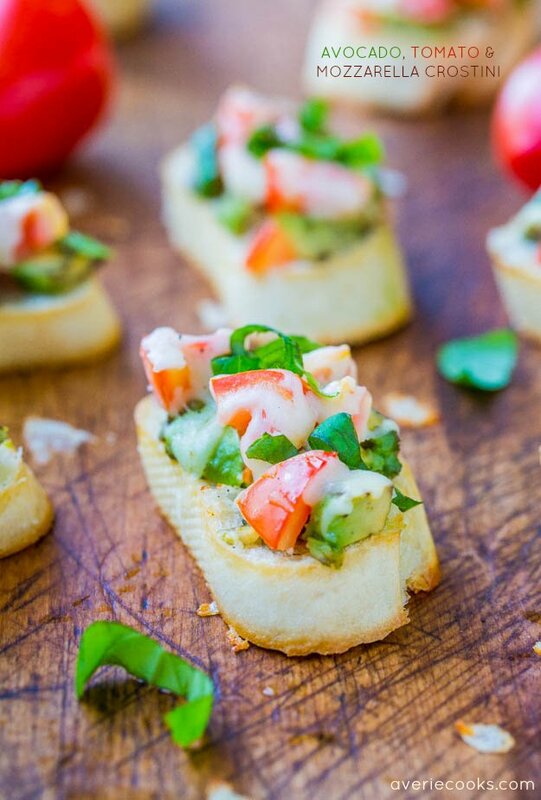 If you’re having a party, it’s one less thing to do the day of, and it gives the flavors time to marry. A win-win. The ranch flavor is bold and intense, and my daughter told me this was one of my best dips ever. We went to town on it, switching between potato chips, bread, and sweet potato chips. 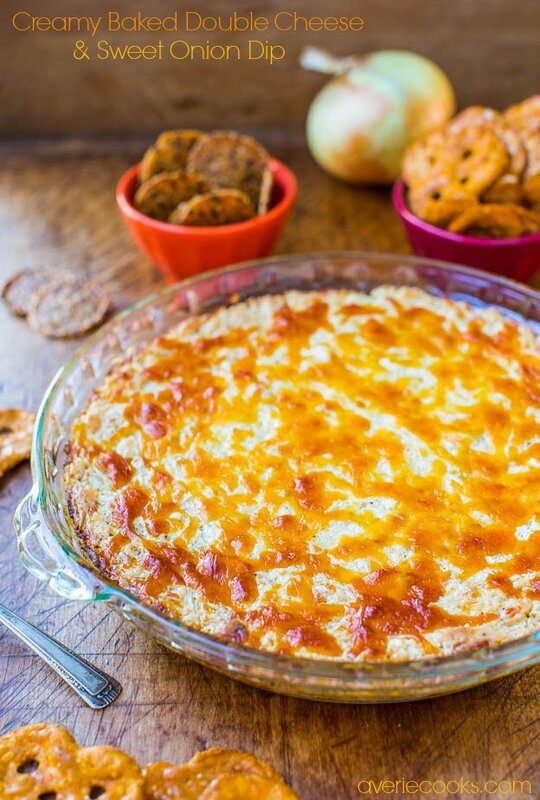 It’s a perfect backyard bbq, pool party, or game day dip. I’m thinking Memorial Day weekend. Just make sure you have plenty of nice cold beverages to wash it down with. I love dips and this one hits all the elements. 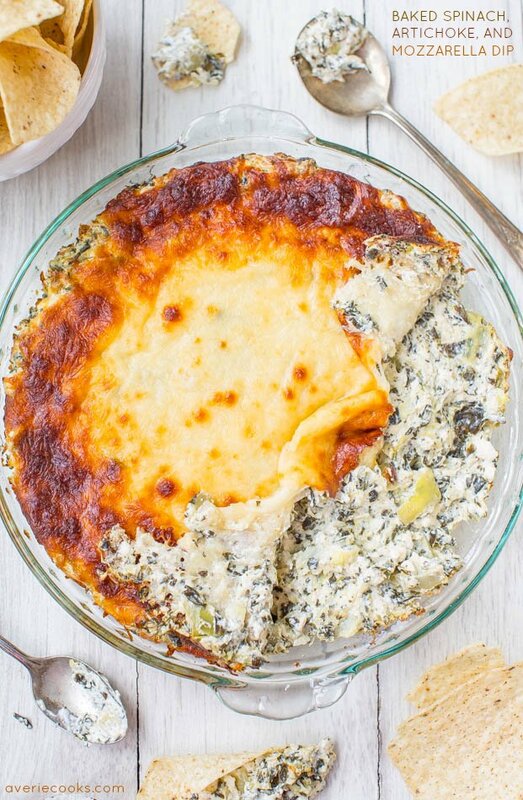 Fast, easy, no-bake, creamy, cheesy, and loaded with ranch flavor. 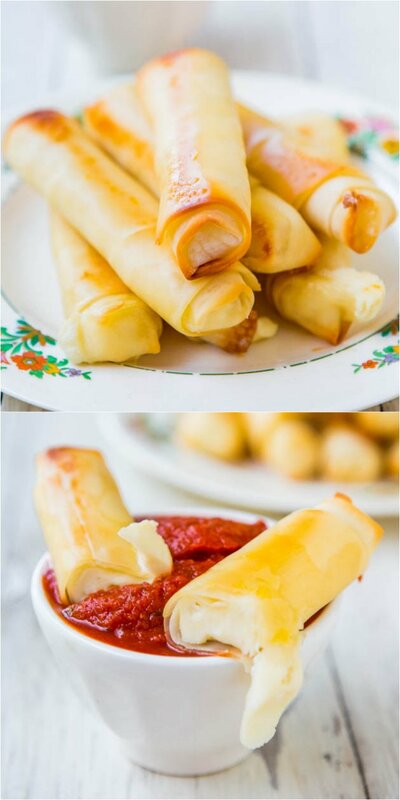 You can use lite or lower fat versions of both the cream cheese and sour cream or traditional versions. I used a blend of white cheddar, Pepper Jack, and mozzarella cheese. Use what you have and enjoy. 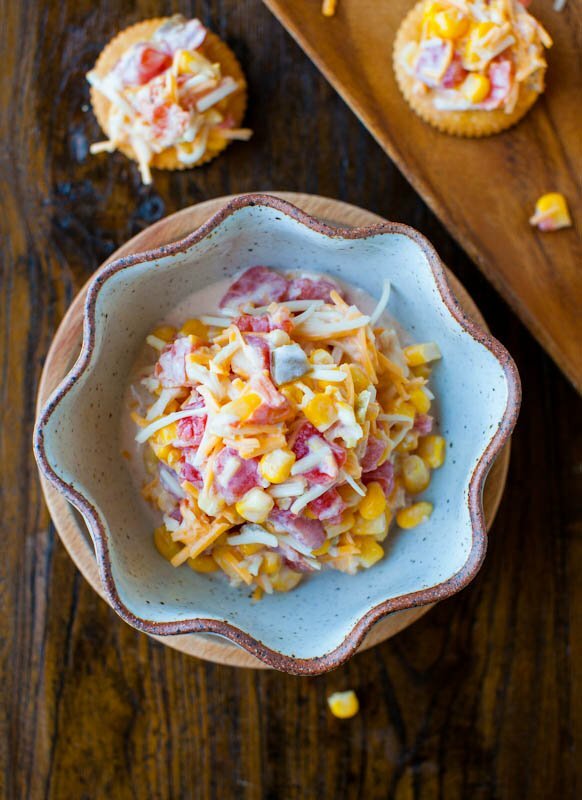 The ranch flavor is bold and intense, and it’s the perfect backyard bbq, pool party, or game day dip. Just make sure you have plenty of nice cold beverage to wash it down with. 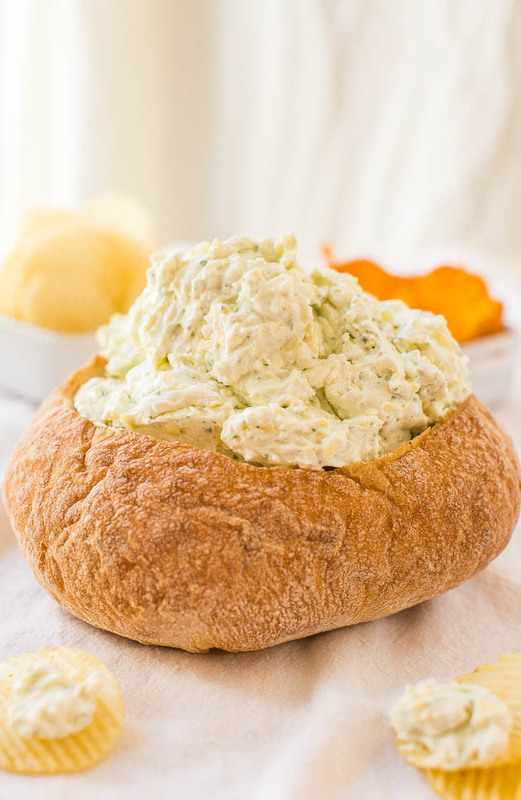 Dip can be made up to 3 days in advance and kept airtight in the fridge until ready to transfer to the bread bowl for serving. In a large mixing bowl, combine all ingredients (except bread) and stir until combined. The softer the cream cheese is, the easier stirring is; set aside. With a serrated knife, slice off the top of bread in a circle, about 1-inch from the edge. Go down deep enough with knife to hollow out and remove interior section of the bread. If necessary, use your fingers to remove interior section of bread; save for dipping if desired. 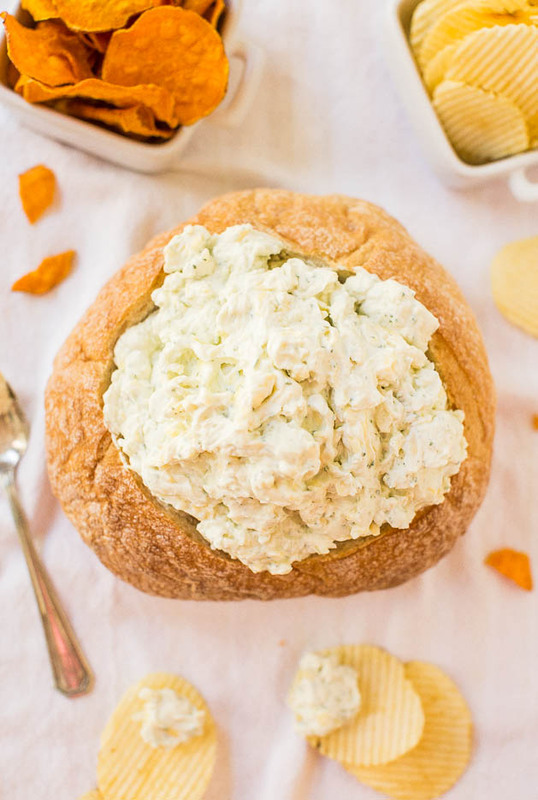 Transfer dip into bread bowl and serve immediately with chips, crackers, veggies, etc. 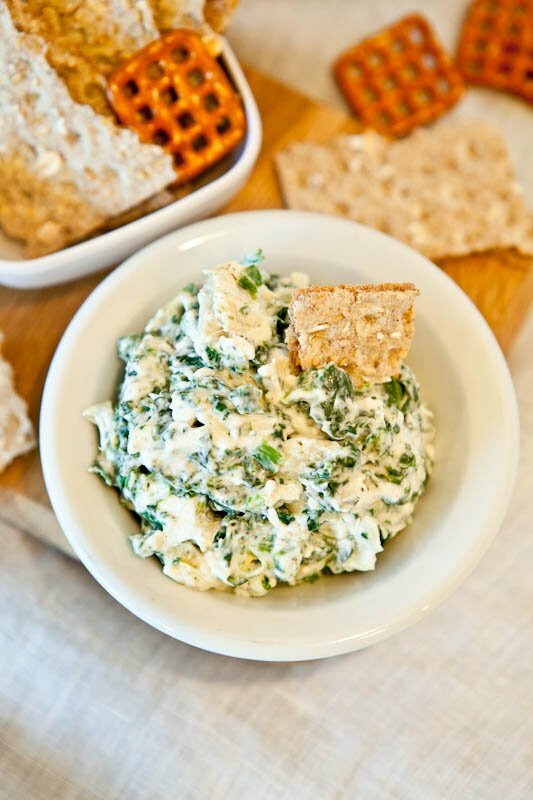 Dip can be made up to 3 days in advance and kept airtight in the refrigerator. 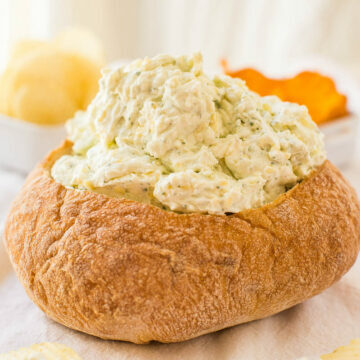 Do not place dip into bread bowl until ready to serve because the bread will get soggy. Dip will keep airtight in the refrigerator for about 5 to 7 days. Anything served in a bread bowl is good with me!! Especially with cheese. SO good! Pinned, of course! Forget the chips, I’d be picking away at the bread bowl right from the start! YUM! Pinned! I’ll take any excuse I can to get a bread bowl! Whenever I order my favorite black bean soup at Panera, I always ask for it in a bread bowl. My favorite part is when I finish the soup and can start tearing at the bread. The insides soften just enough to contrast even more beautifully than normal with the crusty outsides — so good! I need to start using bread bowls at home more often… One less dish to wash! ;) Already pinned! Oh I have great memories of Panera soup bowls! I used to live in Chicago and there was a Panera on every corner and with the winter weather, I used to go there ALL the time! 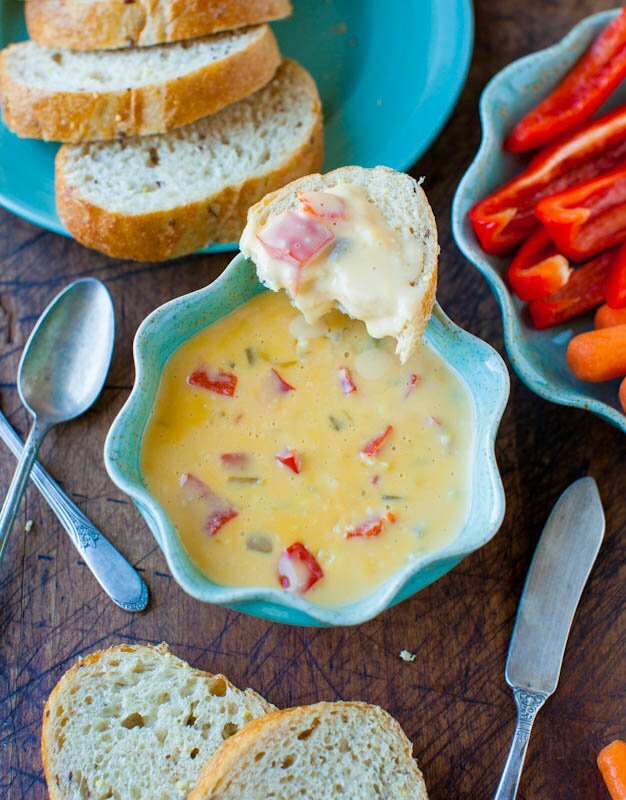 Ranch AND Cheese dip, now we’re talkin!! My mouth is watering! This is the most epic dip ever! Jason’s camping so I skipped dinner tonight so you have no idea what I would do to stuff my face with this right now! I’m all for nibbling the bread bowl. Um, I’ll just slip this here bread bowl under my shirt and promptly walk away to eat this in a corner alone. Looks amazing! 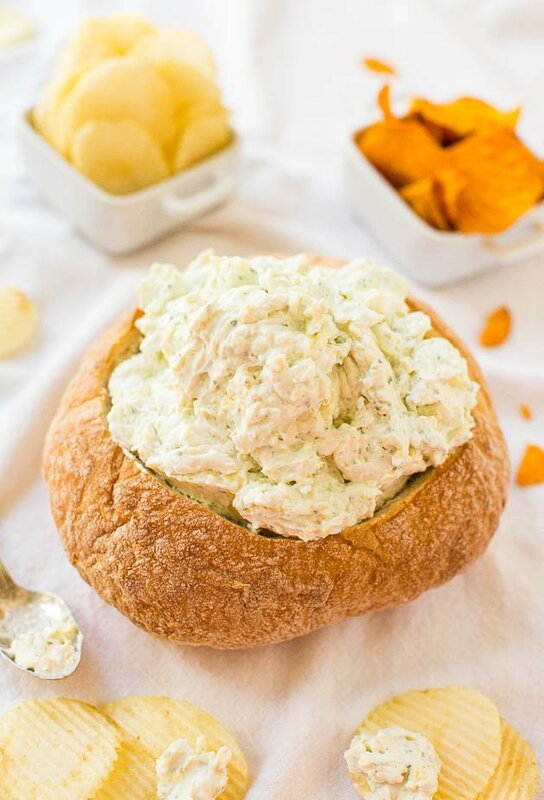 Thanks for trying this dip and I agree that it’s amazing that 4 ingredients can taste so good :) Glad you’re happy with it, even w/out using the breadbowl! This was really good! I didn’t have sour cream so I mixed up the rest of ingredients and added mayo until I liked the consistency. 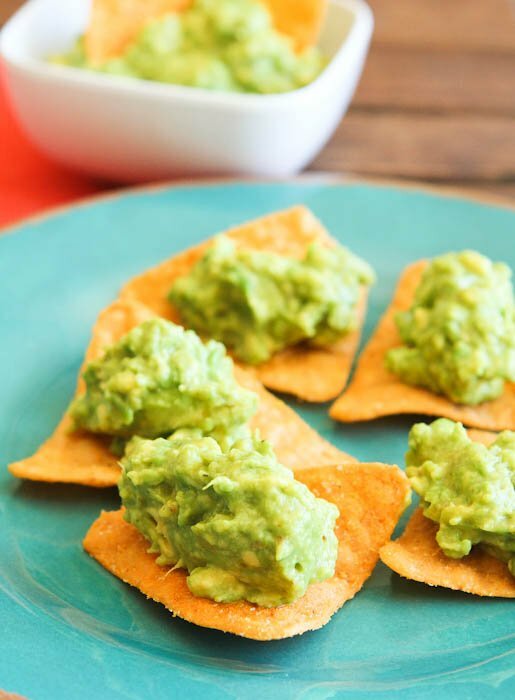 It makes quite a bit and is much better than store bought ranch dip. Glad you were able to customize it and you’re right, it does make quite a bit! 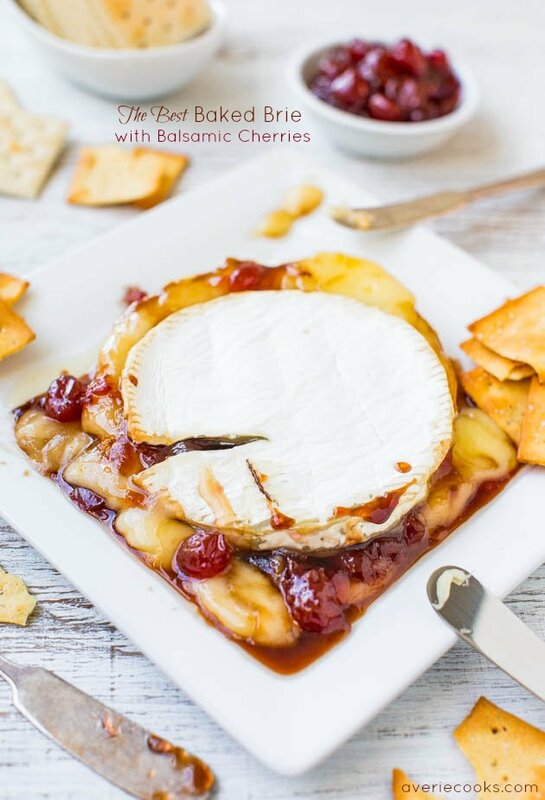 Thanks for trying the recipe and I’m glad it came out great for you and was a big hit!